AC Milan Wants Manchester United Midfielder, Should Solskjaer Sell Him? AC Milan are looking to resume their interest on Manchester United midfielder Marouane Fellaini after the Rossoneri failed to sign their number one target Cesc Fabregas. The latest reports suggest that the Belgium international can end up in Milan as the Rossoneri are really interested in bringing midfield reinforcements. According to Het Nieuwsblad, a Belgian newspaper, the Rossoneri hold a high interest in signing the Manchester United midfield after their failure to sign Chelsea midfielder Cesc Fabregas who was manager Gennaro Gattuso’s top target. AC Milan directors Leonardo and Maldini already seemingly asked information and whereabouts of the player as the interest on Fellaini seems to rise in Italy. This is not the first time that AC Milan have come calling for the Belgium international as there was clear interest from the Italian club in past months. AC Milan manager Gennaro Gattuso is in dire need of midfield reinforcement after injuries to some of his important players in that area of the field. he was intrigued with the possibility to sign out of favour Chelsea midfielder Cesc Fabregas who is technically a lot more sound than Fellaini. 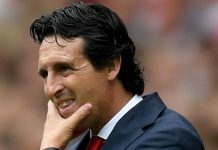 However, the Rossoneri failed to strike that deal as the Spanish World Cup winner left Chelsea for French Ligue 1 side AS Monaco. So it is certain that Gattuso is looking for alternatives and Fellaini with all his experience playing in a top league can be a very good alternative for the Serie A side. AC Milan are currently a single point away from the top four spot in the Serie A league table and by bringing in new players in the January transfer window Gattuso is hoping to push for a Champions League spot this season. With Ole Gunnar Solskjaer appointment as Manchester United’s temporary manager, replacing Jose Mourinho, Fellaini has not been used as much as the Belgian would have liked. Mourinho preferred Fellaini a lot due to his physical stature which offered him as an effective plan for the Portuguese tactician. 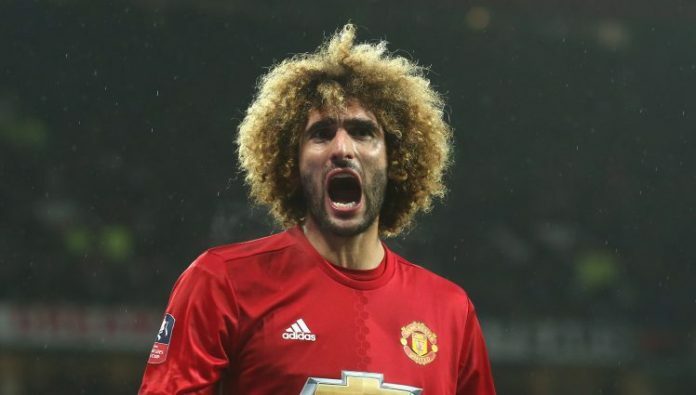 He used him as his trump card and go to super substitution option but now Fellaini is struggling for game time under Solskjaer. According to talkSPORT, though Solskjaer is in Old Trafford as only as an interim manager he has made a strong case to land on the job permanently after winning six games on the bounce and has brought the lost vigour and panache in the Manchester United players. 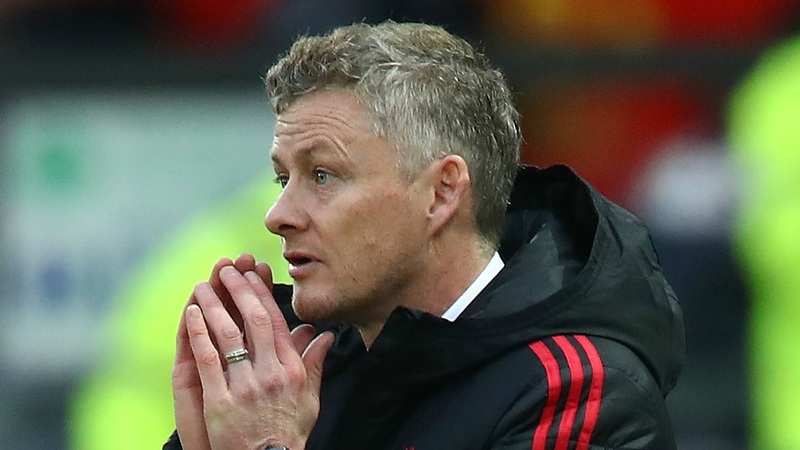 He has also decided a list of players who are unwanted and can be safely said as deadwood for the club and wants those players to leave Old Trafford. In that list reportedly Marouane Fellaini’s name is present. Solskjaer even claimed that there is a club interested in the Belgian and if things go as per plan the deal is supposed to go through as the Norwegian tactician is intending to stay beyond the summer as a permanent manager at Old trafford. His contract with the Red Devils expires on 2020 and considering all the aspects, Milan does not need a hefty amount for transfer fee to secure the deal, though Fellaini”s wages will be considered on the higher side. However, the project looks securable and will not be too expensive in Milan standards. Although clubs like FC Porto and Chinese Super League club Guangzhou Evergrande are also interested in the 31-year old Belgian midfielder. Next articleJose Mourinho Has A New Job, Won’t Get Sacked This Time?